All hotels, with private parking, is located in an excellent location and enviable feature a terrace, bar, lounge area. In "Family Hotels" warmth, kindness, rest, good food and lots of opportunities to get together and have fun are guaranteed. The opportunities to spend evenings in the company of many gay friends and lots of fun, do not miss this and not only because the real strengths of these hotels are certainly the excellent cuisine and the chance to taste the dishes local. And do not forget ... for our younger guests there are special menus. A Gabicce the "Family Hotels" will ensure a calm and peaceful holiday. 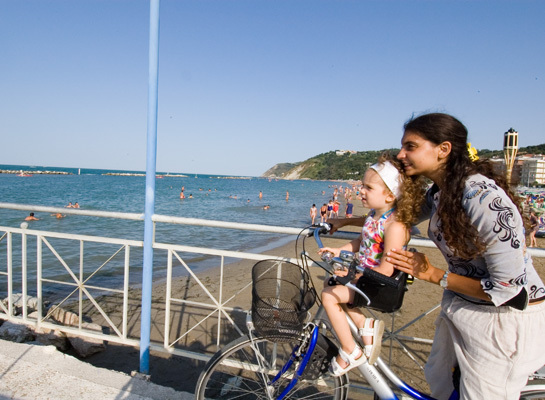 If you want to save money, take your children on holiday in Gabicce Mare!! !